Faster transactions.More affordable operations.More efficient collection. Our transport solution, TapToPay, makes these possible through intelligent transportation systems (ITS) with emphasis on automatic fare collection (AFC). Our systems can cover bus, rail, ferry, road toll, parking, fast-food establishments, and convenience stores. ACS offers product customization and product development services to meet specific customer requirements. With the help of our competent and experienced engineering team, we have the capability to design and develop new products that will give you a competitive advantage. ACS smart cards are available for custom branding and promotional purposes. We welcome OEM enquiries for design printing and personalization at a reasonable cost. Furthermore, customers can buy white ACS cards, which they can design by their own. Welcome to ACS Training Center—your key to exploring smart card technologies! Through a combination of lectures and hands-on training, we will enable you to understand and appreciate various concepts and real-world scenarios in the smart card industry. ACS offers consultancy services. Occasionally, we invite customers to our offices to let them participate in consultancy sessions. Likewise, we are willing to conduct the sessions for other interested parties. The ACS Android Library was built to support the use of various ACS readers with Android devices. The ACS Android Library is a collection of methods and functions allowing application developers to build smartcard based application in the Android platform. 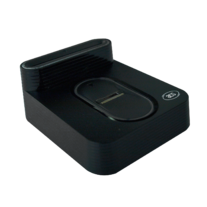 Find web applications that enable users to experience the functionalities of ACS smart cards and smart card readers. These demo applications are offered free of charge. 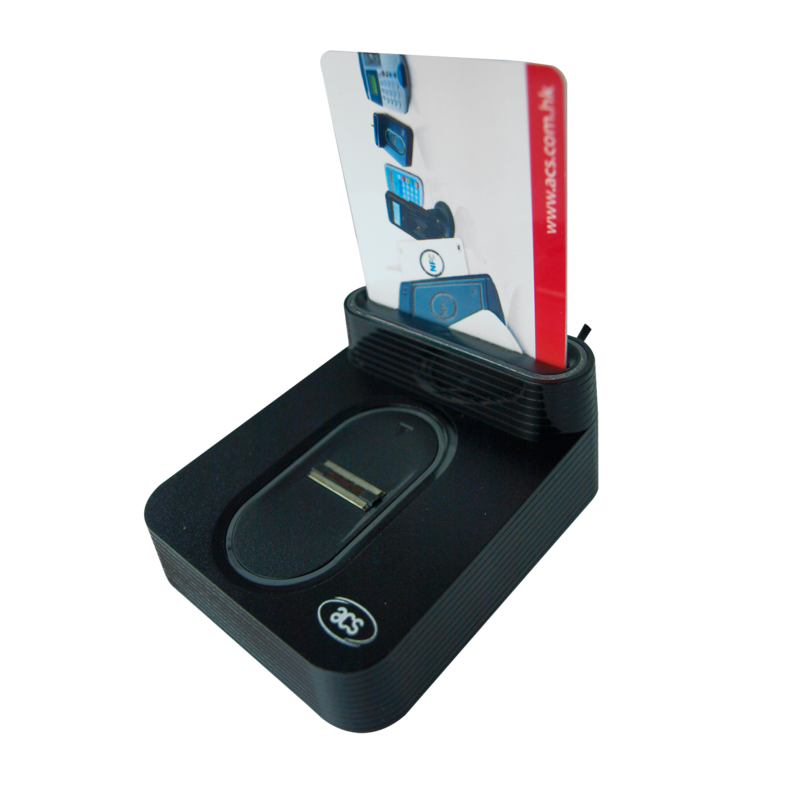 Applications require that a user have the smart card or smart card reader being demonstrated. 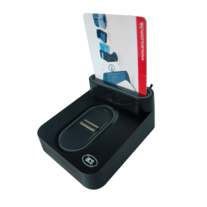 Find programs to help navigate or maximize the use of supported smart cards and smart card readers. These utility tools are offered free of charge. Tools can be used only with the supported operating systems, indicated respectively. View the latest catalogue and know more about packaging details. In case you find defects in materials and workmanship in ACS products that you brought , we promise to repair or replace them within the warranty period if necessary. Let us know if you have any technical inquiries, regardless of whether you have purchased a product yet. Any information solicited during technical support will be used solely to resolve issues and gather data to improve future support activities. A leader in the smart card industry, ACS has the technology, expertise and global resources to facilitate an easier adoption of smart card applications in different industries across the globe. ACS has managed to cultivate lasting relationships with suppliers, customers and other partners because of its company culture, which emphasizes fairness, transparency and quality of offerings. ACS senior management members have the background and company tenure that make them best equipped to help the company handle the growing demands of the smart card industry. Through outstanding investment in terms of time, talent and resources, ACS is in line with its objective to contribute to the growth of the smart card industry. Our products and solutions have been recognized the world over for their performance and innovativeness. ACS is committed to exceeding this world-class level of performance across all of its products and services. ACS takes steps to ensure that its operations are sustainable. To this end, the company complies with international regulations governing production and other aspects of operation. ACS also institutes programs to give back to the communities that enable the business to flourish. Inquire about product features, pricing, or availability. Any information solicited for a sales inquiry will be used solely to provide requester with information and gather data to improve future distribution of information. We cherish your comments! Help us improve our products and services. Any information solicited will solely be used to resolve concerns and gather data for product and service improvement policies. 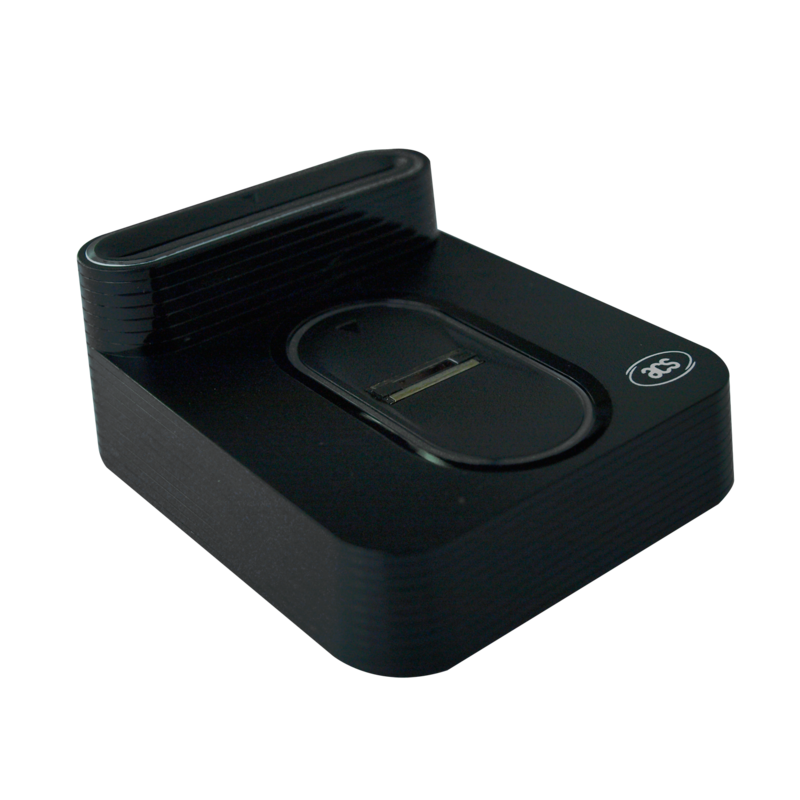 The AET65 Smart Card Reader with Fingerprint Sensor guarantees security and convenience in a variety of applications. 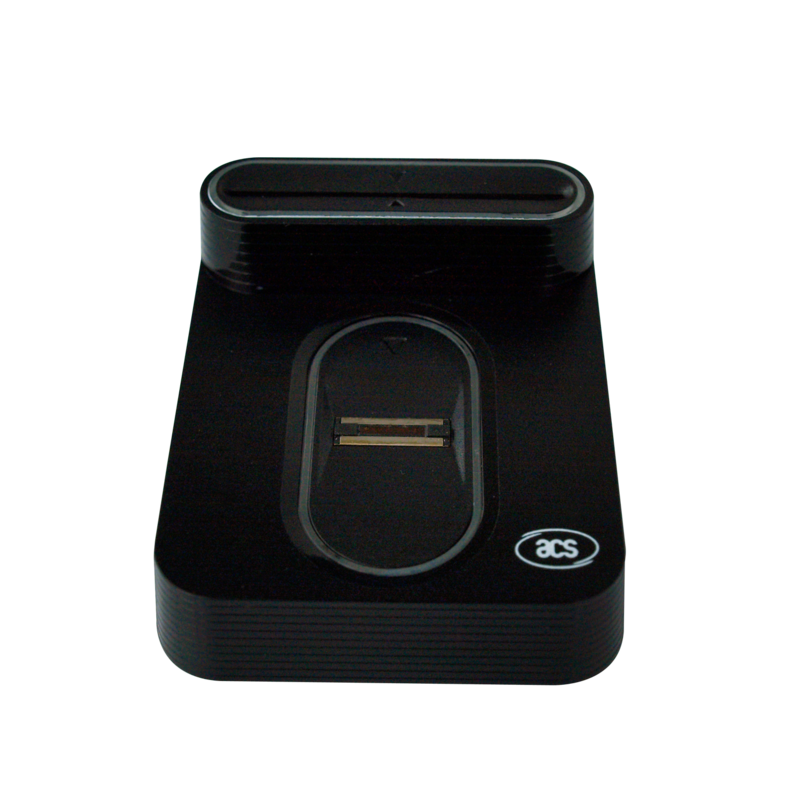 Combining the core of ACS' ACR38-SAM contact smart card reader and Authentec's swipe fingerprint sensor in a single device, it creates a more cost-efficient and simplified integration of biometric technology in applications where the accuracy of biometric authentication is necessary to ensure a high level of security. 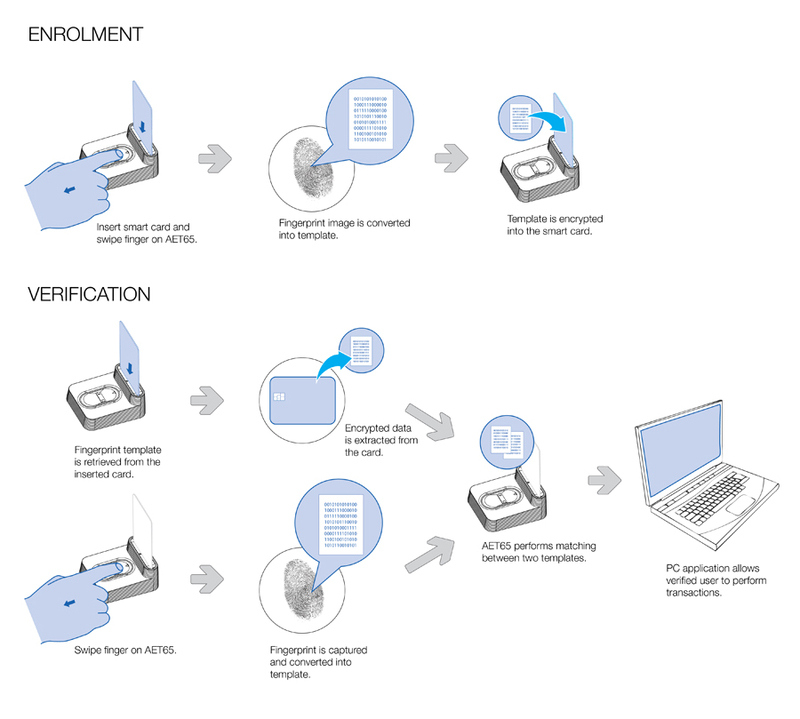 Security: It requires of a user something he has (smart card), something he knows (PIN/password) and something he is (fingerprint), before enabling any transaction; limits fingerprint extraction and matching to itself (preventing security attacks associated with PCs); comes with a secure access module (SAM); and offers support for third-party algorithms. 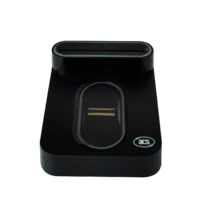 With these features, the AET65 makes integration of secure biometric authentication simple and exchange of information intuitive, and fingerprint and smart card authentication hassle-free. AET65 is end-of-life already. To inquire about a suitable replacement or pending orders, please contact [email protected]. © 2019 Advanced Card Systems Ltd. All Rights Reserved.